Jack Antonoff is an American musician, songwriter, singer and record producer popularly known for his album, Bleachers. He is skilled as a vocalist as well as playing the guitar, drums, piano, and mandolin. Through his years as a music artist, Jack has gone ahead to aid upcoming music artists in the progress of their works and also have collaborated with a few of them. Currently, he has taken to performing live tours, producing albums as well as songwriting. Here is an inside look at everything you should know about him. Born as Jack Micheal Antonoff on the March 31st, 1984, in Bergenfield, New Jersey, the talented songwriter is the second of three children born to Shira and Rick Antonoff. His younger brother, Racheal Antonoff is prominently known as a fashion aficionado but sadly, his younger sister; Sarah died of brain cancer when she was 13. Jack who was raised as a Jew grew up in New Milford and in Woodcliff Lake and was also a scholar at the Solomon Schechter Day School. He later proceeded for his high school education at Professional Children’s School in Manhattan. While as a second-year student in high school, the American singer was very interactive with his mates and was the drone of his class, so it was with ease he created his first band group, Punk Rock with his peers as members of the band. Afterward, the group released their debut EP in 2000 with Antonoff as the lead singer until early 2000 when Eddie Wright took over as the group vocalist. Punk Rock subsequently released six songs and an album, A Boy Can Dream in the following year. At age 15, Jack and the rest of the crew took to tours traveling through Florida and Texas in Jack’s parent’s minivan. Unfortunately, the band fell apart in 2002 with a lot of accomplishments to their name. After that, Jack Antonoff and his friend, Scott Irby-Ranniar formed a new band group; Steel Train with Jack being the vocalist. They later recruited Matthias Gruber, Evan Winiker and Mathew Goldman and Steel Train subsequently signed a record deal with Drive-Thru Records. Six years down the lane, Jack Antonoff left Steel Train to join a new band, Fun created by Nates Ruess. Fun released its first album, Aim and Ignite, in 2009 and its second album, Some Nights in 2012. The band’s number one hit track in the album, We Are Young was co-written by Jack Antonoff. In the following year, the vocalist co-wrote the song, Brave with Sarah Bareilles with the song receiving a lot of critical acclaims and was later used by Microsoft to advertise its Window Tablet technology device. Later on, the vocalist alongside Taylor Swift co-wrote the song, Sweeter Than Fiction for the movie, One Chance (2013). In 2014, he announced his solo project Bleachers, which is said to have been influenced by John Hughes movies. Antonoff released Bleacher’s first single, I Wanna Get Better on February 18, 2014, and it became the most played track on many radio stations. It took about three years before Jack decided to release Bleachers’ sophomore album; Gone Now, with the album’s single, Don’t Take the Money peaking as the number 2 spot on Alternative Radio. In 2017, the vocalist co-wrote and produced the album, Melodrama which was released in June. That album was rated by USAToday as the best pop album of 2017 while Rolling Stone applauded the vocalist and rated the album as one of his best works ever. Jack later worked again with Taylor Swift for her single, Look What You Made Me Do and was also a positive contributor in the creation of the album, Reputation. In 2018, Jack Antonoff produced the soundtrack for the romantic comedy-drama film Love, Simon. Some of the tracks on Bleachers were also used in the movie also. Of a truth, the vocalist has excelled in most of his works and has mentored a lot of other music artists. With so many records to his name, Jack Antonoff is believed to have a net worth of $4 million. More so, many of his works have sold at his best, with his album, Braves selling over 159,000 digital copies and accruing over 1 million views on YouTube. Regarding Jack’s personal life, he has a straight sexual orientation and has also had his own share of love and heartbreaks. He dated Aia Shawkat in 2009 and later dated Scarlett Johannsson in 2001. 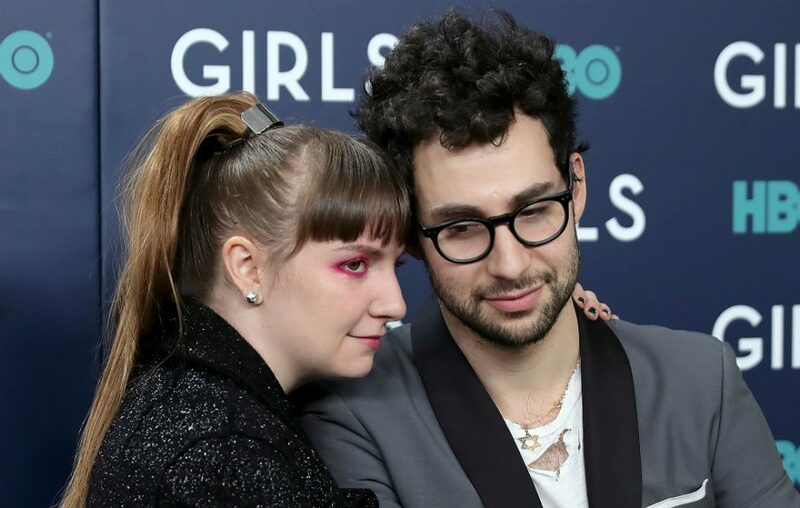 His relationship with Lena Dunham which started in 2012 went on for a long period of time until December 2017, when the two publicly announced their separation. Currently, Jack Antonoff has not publicly announced his new heartthrob and is currently assumed single.